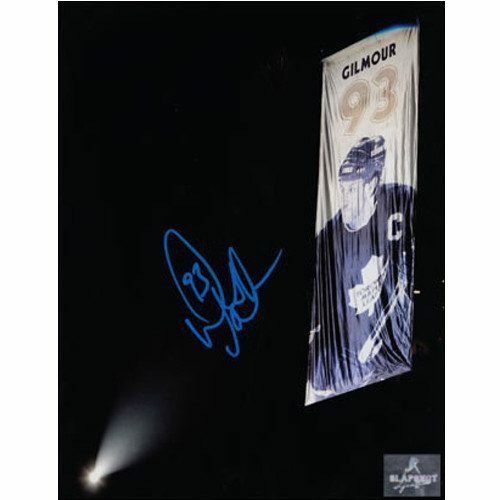 Wendel Clark Signed Jersey Toronto Maple Leafs Vintage CCM Hockey Jersey AUCTION! This is an official licensed Wendel Clark Signed Jersey, Toronto Maple Leafs CCM Vintage jersey. The jersey is brand new with tags. All of the lettering and numbering are completed by our NHL/NHLPA licensed customization team. Mr. Clark has personally autographed the number. To protect your investment, a Certificate Of Authenticity and a tamper evident holofoil from Slap Shot Signatures is included with your purchase. Wendel Clark was selected first overall by the Toronto Maple Leafs in the 1985 NHL Entry Draft and was converted from defenseman to forward. He quickly became known for his hard hitting hockey, refusing to back down to the toughest players in the league. He racked up 227 PIM during his rookie season and earned himself the nickname Captain Crunch. Clark was named to the NHL All-Rookie Team and finished third in voting for the Calder Memorial Trophy. Clark spent most of his career in the NHL as a Toronto Maple Leaf, and was named captain of the Leafs for the 1991-92 season. The following year, Clark led his team into a playoff spot for the first time in 3 years and the Leafs set team records with 44 wins and 99 points. The Toronto Maple Leafs advanced to the 3rd round against Wayne Gretzky’s Los Angeles Kings with Clark getting a hat trick in Game 6 of the series. 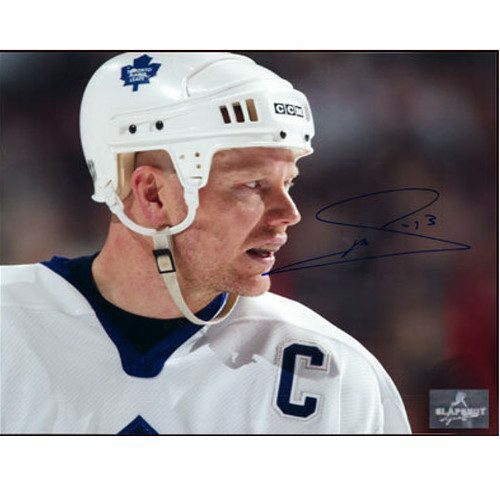 Although Wendel Clark was traded to the Quebec Noridiques in a multiplayer deal for Mats Sundin, he came back to play for the Toronto Maple Leafs from 1995-1998 and again for his final NHL season in 1999-2000. On November 22, 2008, the Toronto Maple Leafs honoured their former captain by raising his number 17 to the rafters at the Air Canada Centre. He was inducted into the Ontario Sports Hall of Fame in 2011.